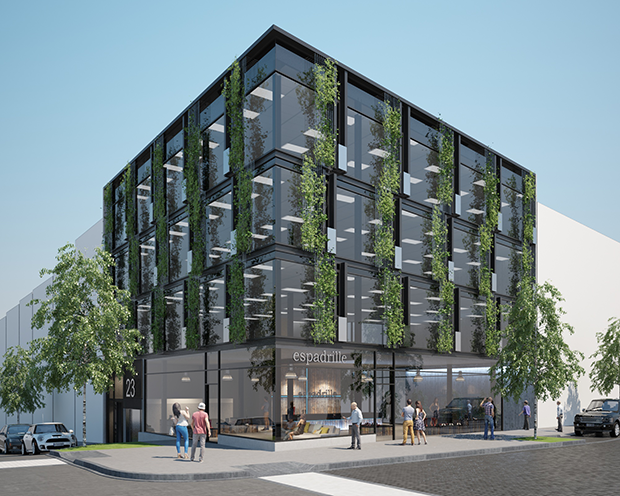 Auckland, 28 February 2015 - With premium commercial space in Auckland in great demand, one of the only commercial opportunities at the new mixed-use precinct at 23 Vinegar Lane in Ponsonby has come on the market. Marketed exclusively by Omri Yahel and Nick Bernecker from CBRE New Zealand on behalf of Soho 23 Limited, three floors at Lot 23 Vinegar Lane are available for sale or lease by negotiation. Omri Yahel says that the Vinegar Lane property is like nothing else on the market. “It offers a number of options for owner-occupiers or those looking for modern character space. This is one of the only commercial sites available, so we’re encouraging people to act quickly or risk missing out on one of the best opportunities of 2015. 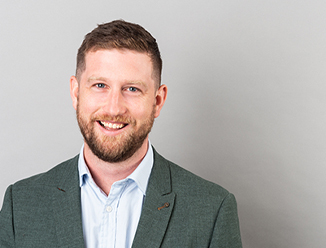 Nick Bernecker says that Vinegar Lane represents a new way of living and working for Auckland, with a concept that is likely to set the standard for future, higher density development. “The urban village concept at Vinegar Lane is quite reminiscent of Melbourne’s iconic streetscapes. Without overstating the case, it’s revolutionary in its approach for here in Auckland and will provide the prototype for how the city might accommodate higher densities without having to compromise aesthetic or lifestyle elements. “CBRE’s most recent Office Occupier survey​ shows clearly that Auckland office occupiers prefer to be in new, prime quality space over lower grade existing space. The research also highlighted that occupiers are willing to pay higher rent to get into premium office space, even if it means taking up a smaller footprint. “As office space, Lot 23 would be well-suited for forward-thinking businesses of between 10 and 30 people, and would be ideal for any organisation looking to get the edge through a premium, modern character space. Businesses are increasingly seeing the value in being located in popular, exciting parts of the city and Vinegar Lane offers exactly that. With ground floor retail/showroom space available, and two upper levels that could serve as flexible office space, Bernecker says the prominent corner site offers a variety of uses that make it a versatile option as the best site in the development. Each of the floors offer 291sqm of space, with clear, rectangular floor plates allowing for intensive or generous working environments. The spaces feature high studs and floor-to-ceiling glazing, offering further flexibility to occupiers. Yahel says that the top floor of Lot 23 was snapped up by an owner-occupier almost immediately, however signage/naming rights of Vinegar Lane is still available. He says the entire precinct has been designed according to an environmentally-principled approach, with durable, high quality materials used whenever possible. The latest earthquake code compliance and IT infrastructure through the precinct mean that office, retail, and residential occupants have access to the most up to date facilities on site. Yahel says that purchasers have the option of engaging the developer and architect for the project to do their fit out as part of the sale or lease package, creating an elegant turnkey solution. Sitting on a prominent site between Pollen Street, Maidstone Street, Crummer Road and Williamson Avenue, Vinegar Lane occupies the old DYC factory site behind Ponsonby Road. He adds that Vinegar Lane offers quick and easy connections to the wider Auckland region, making it an attractive option for residents, workers and shoppers. Auckland’s motorway network is accessible within just minutes of the Vinegar Lane precinct. There are 600 parks in the neighbouring Countdown site, which are available individually or in multiples for sale or lease, which Yahel says gives an additional flexibility to occupiers. Bernecker says a number of additional boutique lifestyle and hospitality providers will soon be joining the hub. Vinegar Lane boasts easy access to the metro-Countdown supermarket, housed in the neighbouring Cider building.